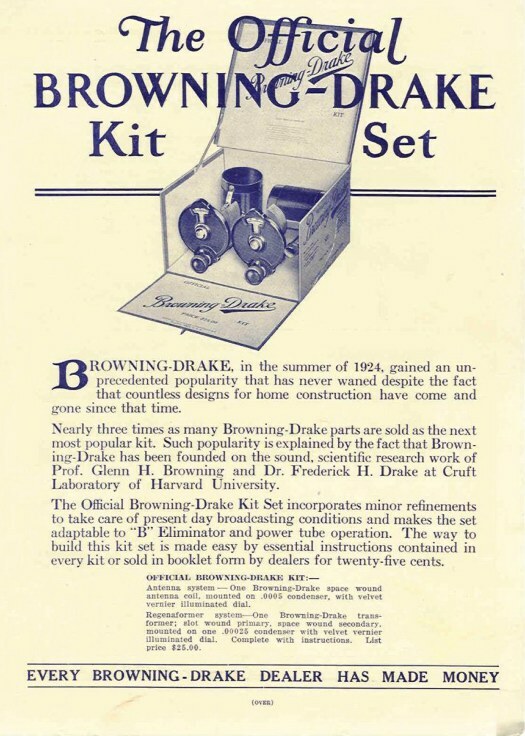 The Browning-Drake Corporation was formed in 1927 by radio pioneers Dr. Glenn H. Browning & Dr. Frederick H. Drake. Click on the thumbnails to see the photos full size. Use your 'BACK' button to return to this page. 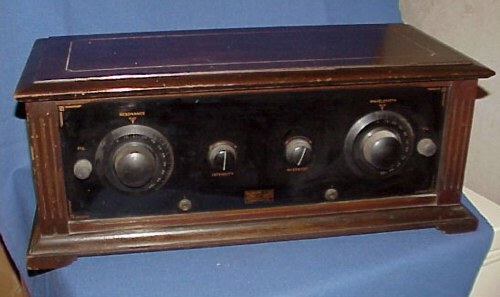 This radio was manufactured in 1927. It uses (4) 201A or 301A tubes (2 RF amplifiers & 2 Audio Amplifiers), (1) 271A or 212A final AF Amplifier, (1) 200A Detector and (1) 240A 1st Audio Amplifier tubes. 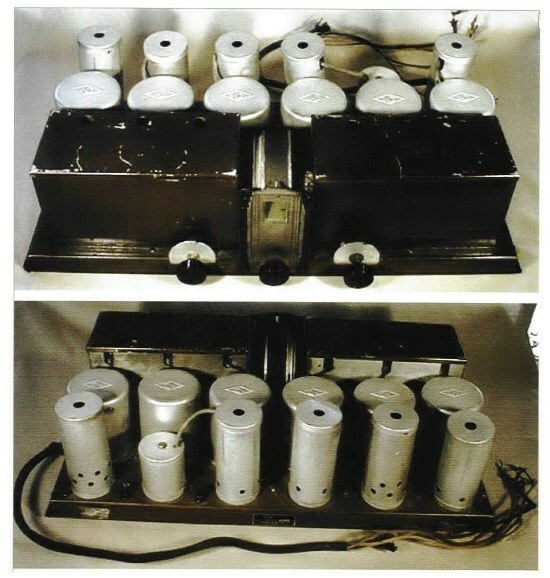 The founders of Browning-Drake Corporation, Glenn Browning and Frederick Drake, were at Harvard University in 1923 and engaged in research to increase the efficiency of radio frequency transformers. At the time, RF transformers were only 20 to 30 percent efficient, and thus were losing a lot of the energy normally passd on to the detector tube. These two men, after much experimentation, found that the losses were caused by too much capacity between the primary and secondary coils of the radio frequency transformers. 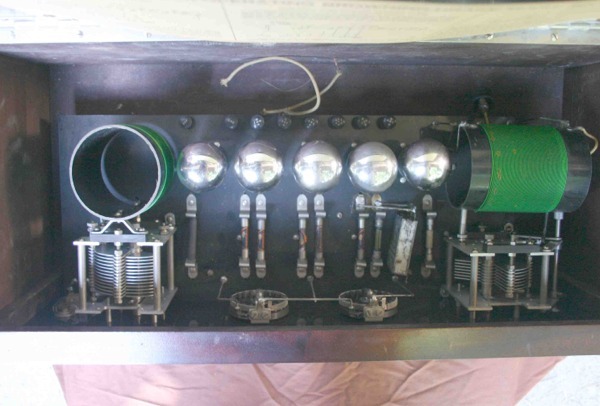 They had formulated an idea to manufacture these transformers with much lower capacity by making the primary winding very narrow, and placing it in a slot at one end of the coil, instead of along the surface of the secondary winding. 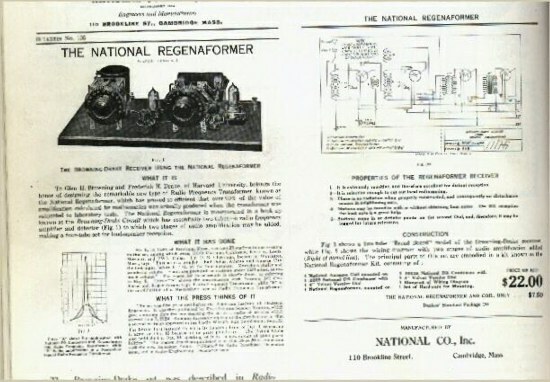 Browning-Drake approached the National Company, then on Brookline St. in Boston, with the proposal of manufacturing this new type of transformer, and mounting it on the rear of National's variable condenser to form the "Regenaformer." The Regenaformer included an adjustable tickler coil to control regeneration. National also manufactured the antenna coil and mounted that on another National variable condenser. With this arrangement, the National tuners were born. These tuners were sold as part of a kit, along with other components, to be mounted on a breadboard to form the Browning-Drake receiver that included two tubes. These kits sold so well that other kits with 2- or 3-tube audio amplifiers were placed on sale. There were many adaptions of chassis layouts and tube styles pictured in the various magazines of the day, and they enjoyed a brisk sale because of the sensitivity of the Regenaformer. 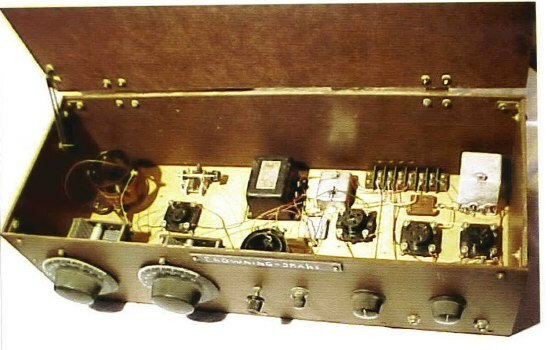 These kits, and later complete radios, gave the Neutrodynes of that era a good run for their money, since they were much easier to operate, and more sensitive. As an aside, I remember working for Boston Gear Works as a sales engineer and calling on the National Company plant, then on Jackson St. in Malden, Massachusetts, and talking with their engineers and draftsmen. Several old timers there remembered Glenn Browning coming into the plant and discussing the manufacturing processes of their coils and Regenaformers. Browning even had a small office there where he oversaw the making of parts. 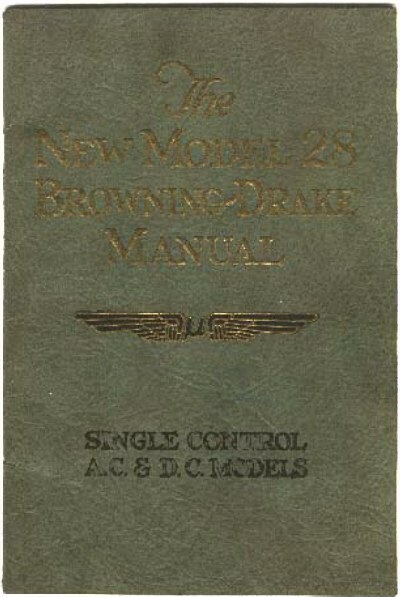 Both Browning and Drake were closely involved with the National Company for many years, but Glenn Browning terminated his relationship with National in July 1927 to devote his energies to the newly formed Browning-Drake Corporation, which had moved across the river to Cambridge to a larger plant. 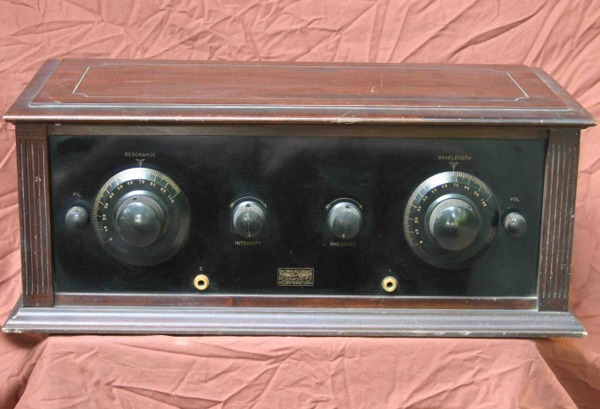 Later the various models put out by the Browning-Drake Corporation were sold using a 4- or 5-tube circuit with two tuning dials, one at each end of the front panel, or with both dials at the left hand of the panel. These tuning dials were mostly the National Company's "Velvet Vernier" dial with variable-ratio tuning used in the radio. 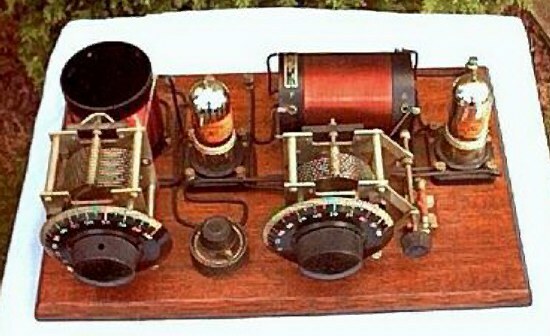 Later, 6-, 7-, and even 8-tube models were produced, but these had single-control tuning in the center. 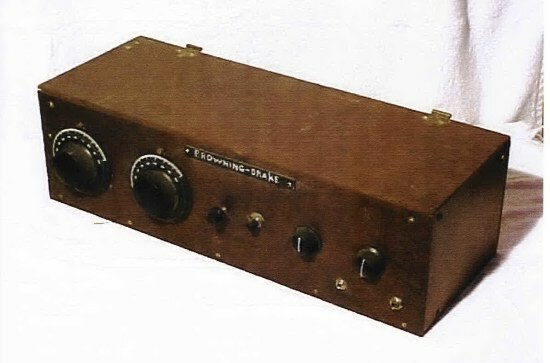 Of the many kits and finished radios that were put on the market, only the panels of the finished receivers were engraved with the Browning-Drake name. The kit sets were engraved only with the control function. 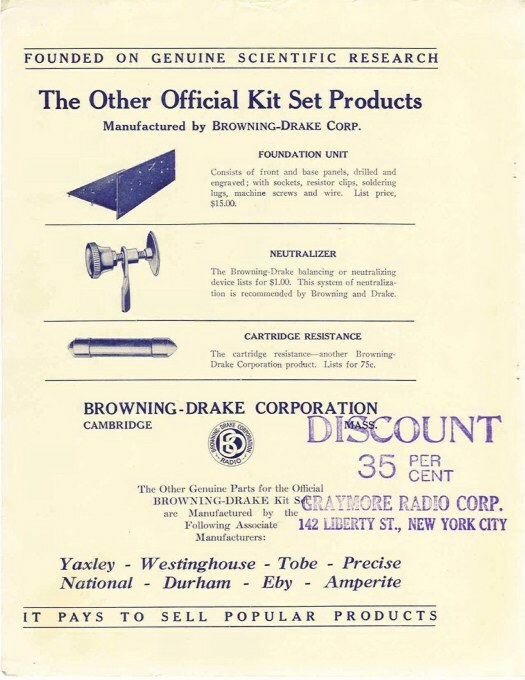 Thus, it is easy to distinguish between kit sets, of which there were many, and the complete radios built by the Browning-Drake Corporation. Most of the complete models were housed in fancy 2-tone cabinets and finished in mahogany or walnut. Cabinets used were made by the Fritts, Signal and Corbett companies. 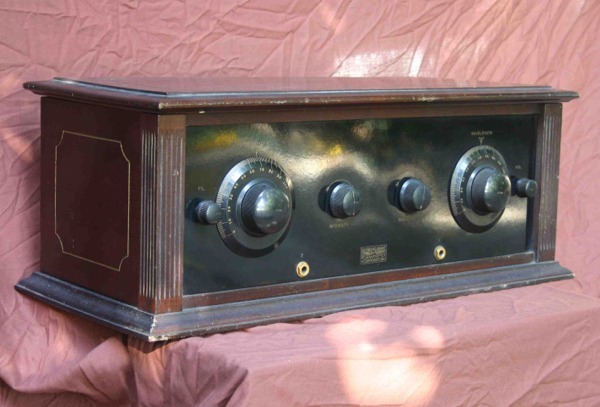 The panels almost always were mahogany-colored Bakelite with a high-gloss finish to make a very pretty set. When looking at these sets and trying to resurrect the model number, remember that the "R" in the model number means that the audio amplifier tubes are resistance-coupled. The model numbers without the "R" are transformer-coupled. 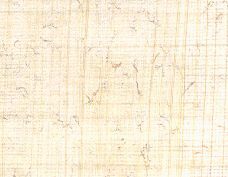 Webmaster Notes: This article was first published in Antique Radio Classified. We appreciate Mr. Worth allowing us to include his invaluable information here on the Browning Laboratories, Inc. website! We have only edited those parts of his article that made reference to pictures that were a part of the ARC write-up. At age 15, Wally Worth began saving his paper route money to buy parts for 1-tube sets. Fifty years later, in 1986, he started to collect anything that needed cabinet work. 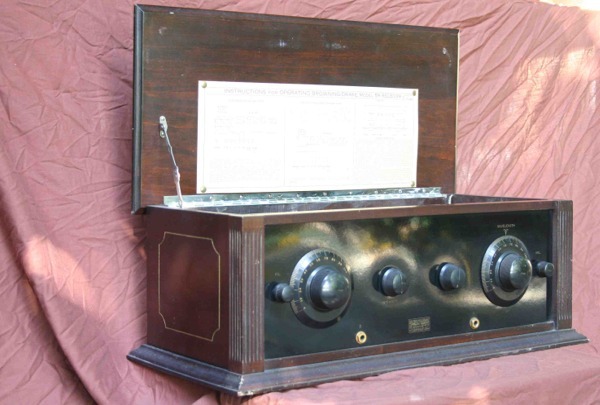 His diverse collecting tastes include crystal sets, 1920's battery AC sets, transistor and multiband sets, novelty radios, tubes, and both horn and cone speakers. Other Data: Riders Index lists Models 20, 40 & 80 with circuit diagrams. 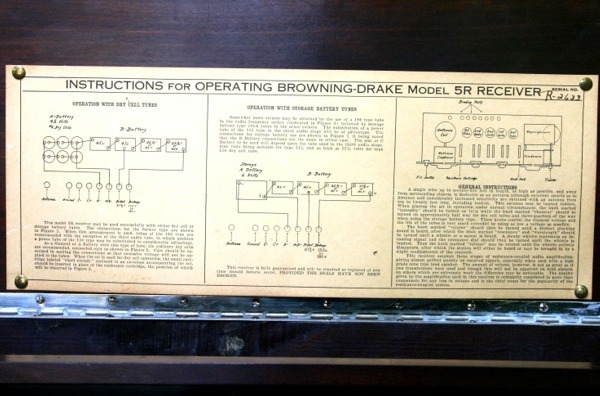 If you would like to learn more about the Browning-Drake Corporation and their products these sites can give more detailed information. Some include technical info, parts and schematics!